Lenovo 80Y70062US Yoga 920 (14) 2-in-1 Notebook PC, 13.9"
The Lenovo Yoga 920 14 inch 2-in-1 Laptop was added to the Laptops category in September 2018. 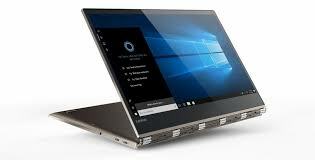 The lowest price GetPrice has found for the Lenovo Yoga 920 14 inch 2-in-1 Laptop in Australia is $2,279.00 from Lenovo. Other merchants who stock it are Lenovo, Amazon AU, ozappliances.com.au.